Deventer is a great excuse to discover the east of The Netherlands a little better. Because in all honesty, Deventer is just a wonderful Dutch surprise and one of the loveliest hidden gems you will come across in The Netherlands. 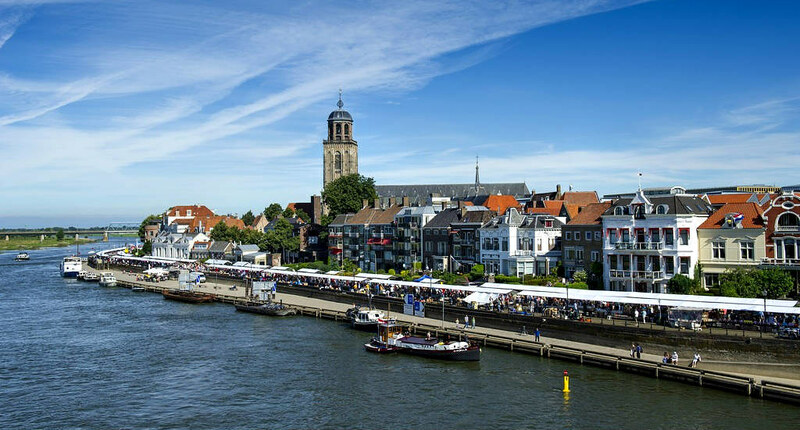 Explore the winding streets with gabled houses, the excellent independent shopping options or visit one of Deventer’s famous local festivals. The city guide will help you plan your trip. Basically, Deventer was already a bustling port and important city, while the rest of The Netherlands (including Amsterdam and Rotterdam) was still playing farm on heaps of sand. Deventer’s location along the IJssel river made it of great significance as a member of the Hanseatic League, a collective of Dutch and German cities all connected through waterways who were very active in trade. The city of Deventer was heavily bombed during the Second World War, although you wouldn’t think that walking through the historical centre. Keep in mind however that only 2500 of 11000 historical buildings survived the bombings. Deventer is still incredibly cute though, filled with cobbled streets, quaint squares, gabled houses and green, deserted courtyards. Some call Deventer ‘the Delft in the east of The Netherlands’, but I feel this is selling Deventer short (a lot), as Deventer has a charm all of its own. If you’re flying into Amsterdam, it’s quite easy to get to Deventer. A direct train will take you there in a little over an hour. 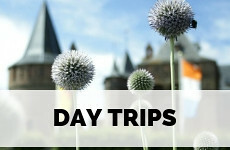 Making it either a great day trip from Amsterdam, though I’d recommend you stay the night. To take the train you need an OV Chip Card which you can charge as you go, plan your train trip on this website. If you feel like seeing more in the east of The Netherlands, you can easily rent a car from either Amsterdam Schiphol airport or the centre of Amsterdam. 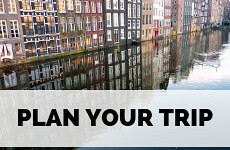 Check out more advice to plan your trip around The Netherlands. To discover Deventer you only need your feet. The centre of the city is very compact and easy to get around. Bookworms unite! Because, every August, Deventer turns into the largest bookshop in Europe. Literally, the whole city centre is covered in book stalls selling everything from ancient unique books to comics and from new literature to children’s books. It’s one of the most popular summer festivals in The Netherlands. If you think Christmas markets are fun, then how about Deventer’s Christmas market which is celebrates everything Charles Dickens. Head to Bergkwartier, at the edge of the city centre, to enter the world of Oliver Twist, Scrooge, Marley and Mr Pickwick. You buy punch and roasted chestnuts, while gentlemen in top hats and carol singers pass you by. This is the cultural summer festival of Deventer, which takes place every year in July. The streets of the city are literally filled with dance, street art and performance art during one long weekend and there is lots to see like light shows and acrobatics. When you get to Deventer, immediately go to Brink, the central square of the city. In the middle of it, you will see the imposing historical building of De Waag, an old Dutch word for ‘weighing house. 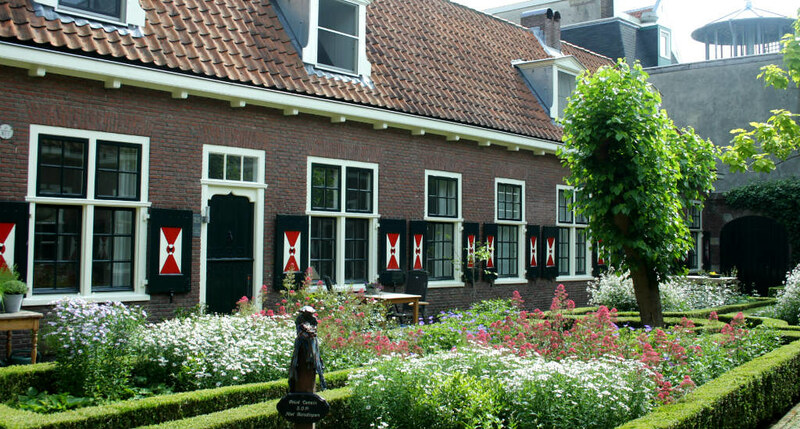 This building is one of the oldest weighing houses in The Netherlands (and an absolute beauty) and is now a museum. In it, you can see expositions on Deventer through the ages. If you’re travelling in the Netherlands with your kids, this museum is a really nice place to visit. Your kids can see through the little windows of hundreds of dollhouses, see lots of vintage toys and visit the grand train set room. The centre is dedicated to the legacy of writer Etty Hillesum, who grew up in Deventer before moving to Amsterdam in the Second World War. In The Netherlands, Etty Hillesum is as much a famous Jewish icon as Anne Frank as she also kept a diary, but unlike Anne Frank, Etty didn’t want to keep quiet and was voluntarily kept in concentration camp Westerbork where she wrote about the faith of her people. She didn’t survive the war. 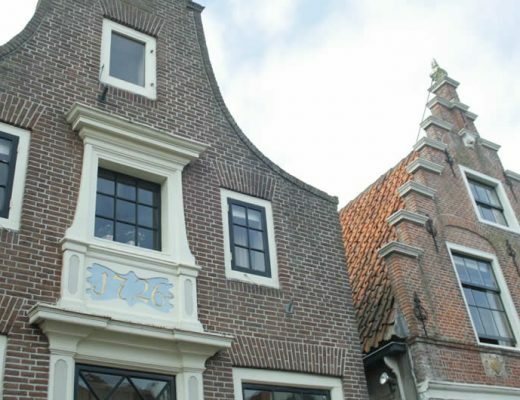 The centre in Deventer is housed in an old synagogue and has exhibits on the life of Etty Hillesum and Jewish life in Deventer prior to World War II. Deventer is a true gem for shopaholics. The city only has one street with the usual chain stores and the rest of the city centre is filled with independent boutiques and lovely small shops. Hoge Ramen is a Deventer institute, as this independent store has been going strong for 30 years. 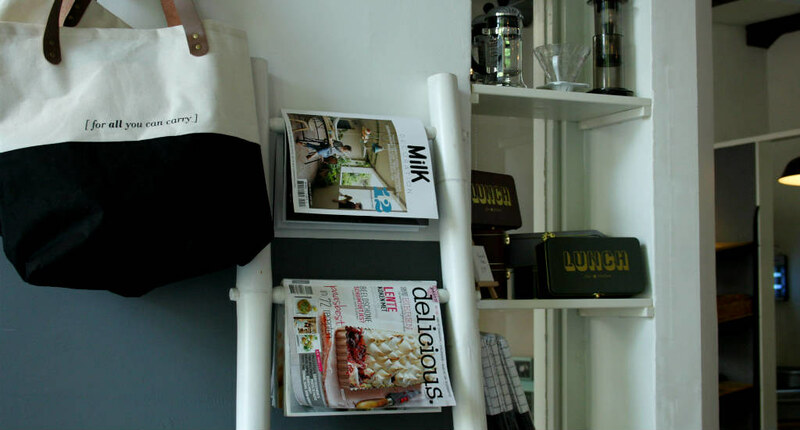 The shop offers everything from women’s and children’s clothing to books and stationery. It’s a colourful place and an absolute fun place to shop. Across the street from Hoge Ramen. 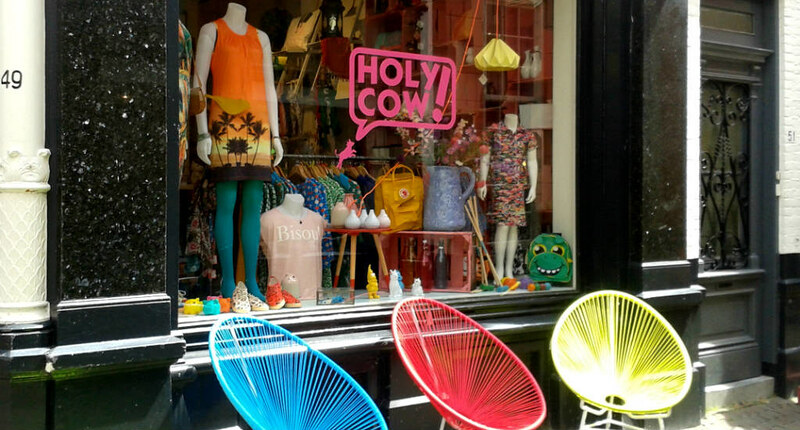 A colourful shop with fun retro design. You’ll find fun and bright women’s clothing here, as well as furniture and homeware. If you didn’t know you were in Deventer, Plek could easily have you believe you were in some hip neighbourhood in Paris or Stockholm. The glass roof of the store make for some excellent shopping (no need to pop outside to see true colours of clothing by daylight!) and after buying some beautiful clothes or cute plants for your house, you simply venture over to the café for a well-deserved coffee. Roughly this shop is called ‘Heavenly to have’ and one peek at the clothes, shoes and homeware proves that the name was chosen more than correctly. If you’re into making, you better visit Dol op Wol as this is one of the most lovely yarn shops in The Netherlands. They offer a nice mix of artisan yarns and well-known Dutch, German and Italian yarn brands. Within The Netherlands, Deventer is pretty famous for one thing: cookies. ‘Deventer koek’ is actually more like a cake made with pumpkin spice-like spices. Bussink is the place to sample and buy the real deal, the store has been there since 1593 and is still located in a beautiful historical house. If you’re not into cake, there are a lot more sweets to sample. The owners of Appel en ei are convinced that most clothes deserve a second life and that shopping for second-hand clothes should be as normal and fun as shopping for brand new ones. And their store beautifully reflects that. All the clothes are arranged nicely and the shop is a true delight. A proper place in The Netherlands to have a real Swedish ‘fika’. 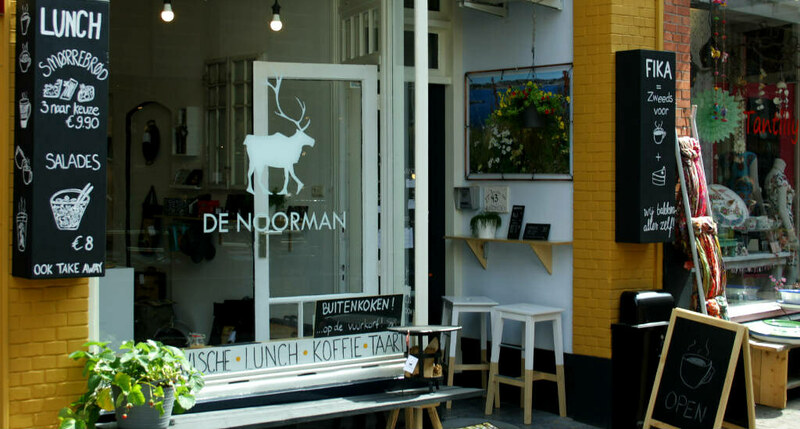 De Noorman is completely Scandinavian inspired and a perfect place for coffee or tea with cake or a nice lunch. And if you’re staying somewhere that doesn’t serve breakfast, De Noorman is your perfect solution. Don’t think for a minute that Amsterdam is the only home for hip food factories and food concepts. 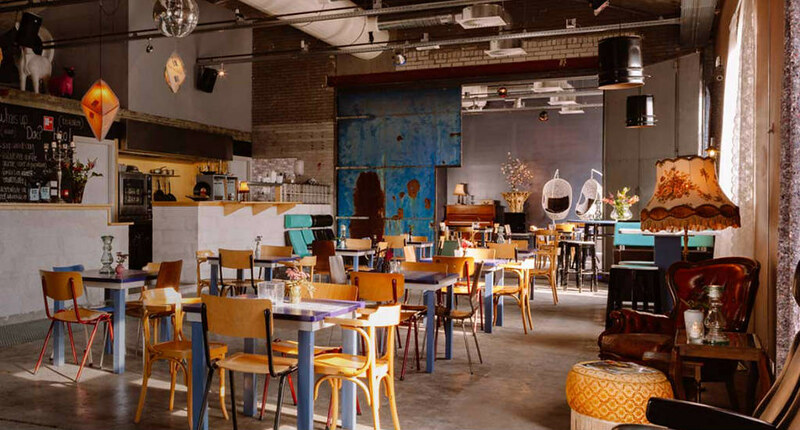 Food Dock in Deventer is the first food hall of the east of The Netherlands and it sure is one to be proud of. Order some organic pulled chicken, sushi or burgers and have some frozen yoghurt for dessert whilst enjoying the funky, industrial decor. 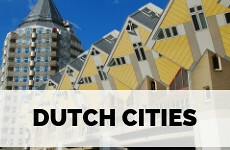 The old harbour area, across the IJssel river, is a booming and sprawling new neighbourhood. Dok H2O was the first project to open its doors in the area and it has become a total hotspot. When the weather is nice, it’s lovely to sit outside with a drink overlooking the water. In the evening Dok H2O is the place to go for dinner, drinks, bites and concerts or theatre. 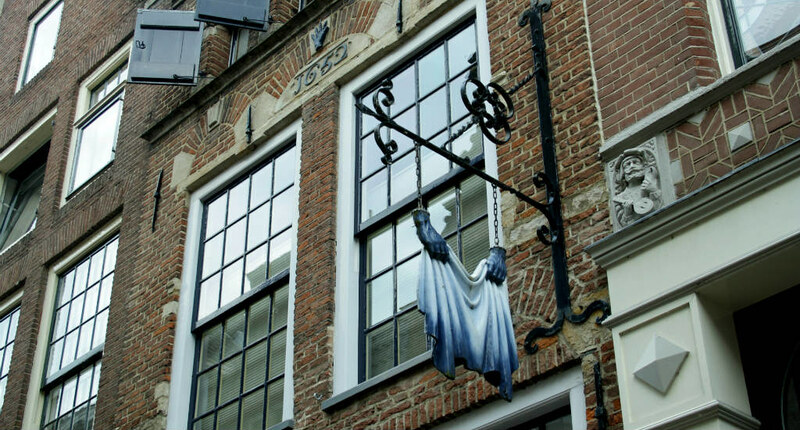 Deventer has some really great dining options and ‘t Arsenaal is a fine example. The restaurant is set in a gorgeous old building, just behind the church and for less than €40 you can order a beautiful 3-course meal. I like shops that are also cafés (or the other way around) and Brood van Joop is a great example. This bakery is also a café and for me, it’s the perfect place to have the first coffee in the morning, maybe with a nice breakfast or a pastry to go along with it. If you’re not into colour, this is not the place for you. Because everything about A taste of honey is bright, vintage and colourful. All the dishes are served on vintage dishes and the small garden out the back is a real treat in summer. It doesn’t matter when you walk into restaurant Boas, situated in a cute Deventer street. Lots of tables always seem to be taken, and that’s a pretty good sign. The menu is French inspired and especially dedicated to those who enjoy fish and seafood. The stunning historical building is reason enough to book a room at Hotel Gilde. The hotel is located in a rectory dating back to 1751 and all rooms have stunning historical details and the hallways still have all the original tiles and wood panels. The shaded garden is perfect to enjoy a quiet drink in summer. 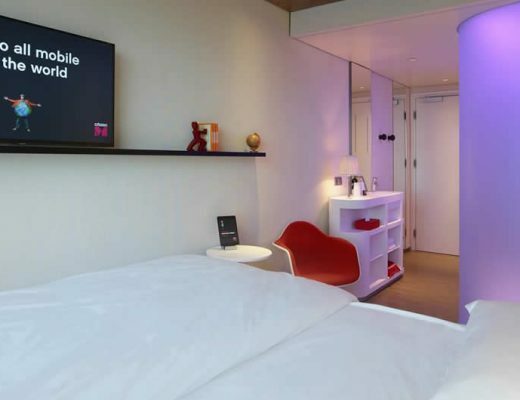 From the hotels, it’s a 5-minute walk to all the sights in the city. Talk about a hotel with a view! 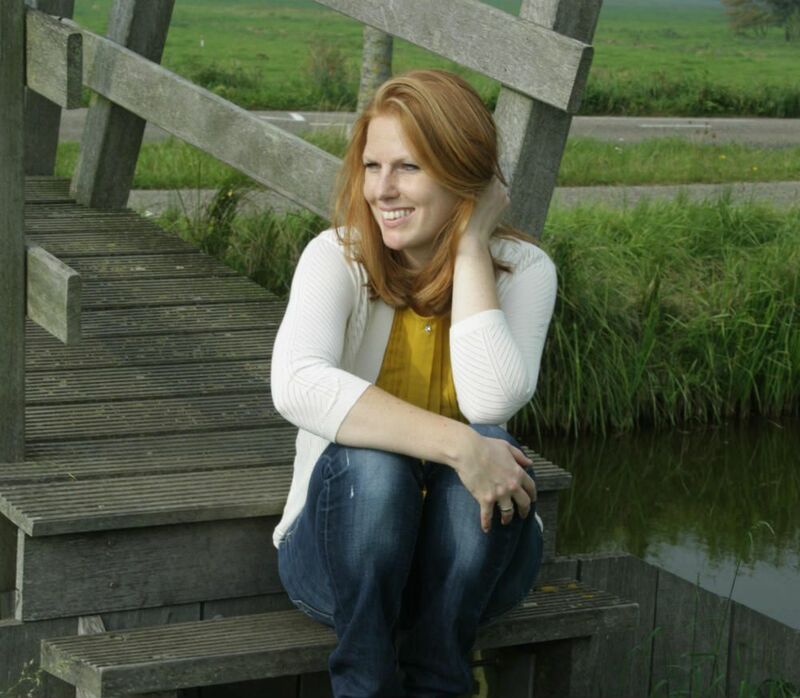 Set on the riverbank with a gorgeous view over the Deventer skyline. The rooms are really nicely decorated, with lots of wood and often a very nice view over the city. The restaurant and outdoor terrace are an excellent choice for dinner or drinks (again, the view!). Zwolle is another great city worth visiting in The Netherlands, and only 20 minutes from Deventer. 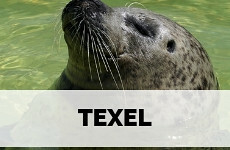 Check out my complete city guide Zwolle to plan your visit. Both Deventer and Zwolle were part of the Hanseatic League. 9 Dutch towns in total were part of this league of trade and commerce in the Middle Ages and all of these towns in the east of The Netherlands still look very pretty. 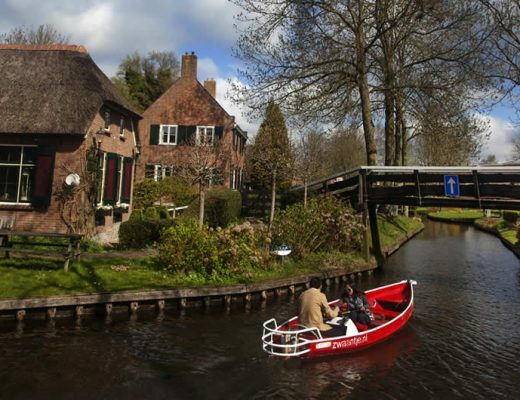 Take a road trip along Hansa Towns in The Netherlands and discover all 9 of them. 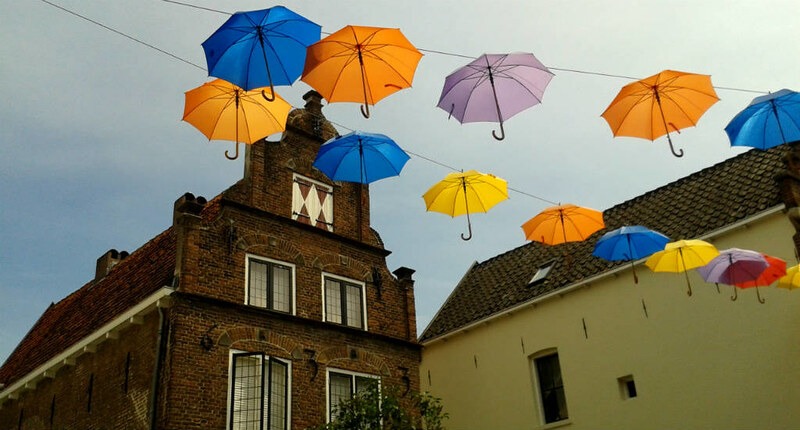 Don’t skip these 7 colourful sights in Deventer.